Another spam, another "redret" domain. This time the spam is a "changelog" one, the malicious payload is on cjredret.ru/main.php. The site is hosted on 91.222.137.170 (Delta-X, Ukraine), the same IP address as yesterday. If you don't have any reason to send traffic to the Ukraine, blocking access to 91.222.136.0/22 might be prudent. More spam pointing to a malicious web page at chredret.ru/main.php (after redirecting through a legitimate but hacked site), but this time using the old "HP Officejet" approach. The domain chredret.ru was used in this spam run yesterday, but now the server has moved from 46.249.37.22 to 91.222.137.170 (Delta-X, Ukraine). I don't know Delta-X at all, but the SiteVet and Google reports are not good, so you might want to consider blocking the entire range 91.222.136.0/22. Another fake "contract" spam leading to malware, hosted on chredret.ru . Subject: The variant of the contract you've offered has been delcined. Another name used on the spam is "Ramiro Howell", although there are probably hundreds of fake names. The malicious payload is at chredret.ru/main.php, hosted on 46.249.37.22 (Serverius Holding BV, Netherlands). This is the second "redret" domain in this /24, so blocking 46.249.37.0/24 might be prudent. More NACHA spam, this time pointing to cgredret.ru (which we've seen before) which delivers a malicious payload. ACH transaction, initiated from your checking account, was canceled. cgredret.ru has moved since yesterday and is now on 79.137.237.68. Unsurprisingly, it is now on Digital Network JSC in Russia (aka DINETHOSTING). Block access to 79.137.224.0/20 if you can. 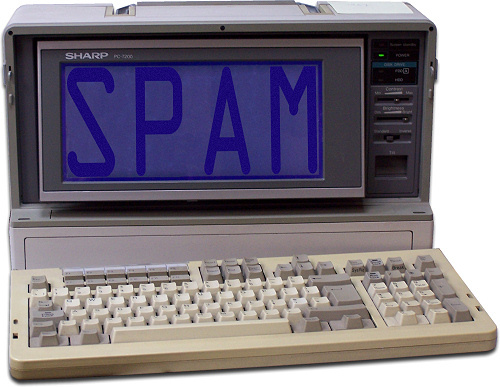 The spam tsunami continues, this one is a reworking of one seen last month, but with a new payload site. Hello! Look, I've received an unfamiliar bill, have you ordered anything? Please reply as soon as possible, because the amount is large and they demand the payment urgently. The malicious payload is on cgredret.ru which I catalogued yesterday (although it didn't have an IP address then). The IP is now 206.72.207.156 (Interserver Inc, USA) along with some other malicious sites. Block the IP rather than the domain if you can. These are another part of the "redret" series of malware sites being promoted by spam, and are worth blocking proactively. Yet more BBB spam, this time with a different malicious domain - curvechirp.com, hosted on 184.171.248.47 at TMZHosting LLC, Florida. This range is suballocated from Hostdime and has been seen a few days ago with another attack, so blocking all access to 184.171.248.32/27 is probably prudent. Payload page is at curvechirp.com/main.php?page=111d937ec38dd17e, at the moment the page is not responding (possibly due to being overloaded as it looks like a cheap VPS). Here with the Better Business Bureau informs you that we have been filed a complaint (ID 54838460) from one of your customers with respect to their dealership with you. Please open the COMPLAINT REPORT below to view the details on this question and suggest us about your opinion as soon as possible. We are looking forward to your prompt reply. Here with the Better Business Bureau informs you that we have been sent a complaint (ID 67732970) from a customer of yours with respect to their dealership with you. Please open the COMPLAINT REPORT below to view the details on this case and inform us about your point of view as soon as possible. Yet more BBB themed malware spam this morning, bouncing through a couple of hacked servers to a malicious payload on curcandle.net (174.136.1.223, Colo4Dallas). Blocking access to the IP will also block any other evil domains on the same server. The payload is on curcandle.net/main.php?page=111d937ec38dd17e although right at the moment it is 404ing. However, the spam run is just 30 minutes old so perhaps it is still under construction. Here with the Better Business Bureau informs you that we have been sent a complaint (ID 54715375) from one of your customers with respect to their dealership with you. Please open the COMPLAINT REPORT below to obtain the details on this matter and inform us about your opinion as soon as possible. Here with the Better Business Bureau notifies you that we have been sent a complaint (ID 44513446) from one of your customers with respect to their dealership with you. Please open the COMPLAINT REPORT below to obtain more information on this question and inform us about your opinion as soon as possible. Here with the Better Business Bureau would like to notify you that we have received a complaint (ID 10822005) from one of your customers related to their dealership with you. Please open the COMPLAINT REPORT below to obtain more information on this question and inform us about your position as soon as possible. Here with the Better Business Bureau notifies you that we have been sent a complaint (ID 10942308) from one of your customers in regard to their dealership with you. Please open the COMPLAINT REPORT below to obtain more information on this question and let us know of your position as soon as possible. Another set of "Redret" domains, the b*redret.ru series is used in malware distribution. It has some new IP addresses since the last time. These "Redret" domains serve up malware and are promoted by spam, some of them have moved around since last week so consider this an updated list. Here's another BBB Spam leading to malware.. Here with the Better Business Bureau would like to notify you that we have received a complaint (ID 24673594) from your customer with respect to their dealership with you. Please open the COMPLAINT REPORT below to find the details on this issue and let us know of your point of view as soon as possible. Malware payload in on financestuff.serveblog.net/main.php?page=69dbd5a1e3ed6ae9 on 207.210.65.12 (Global Net Access LLC). Block the IP address if you can. This is a fairly common malware spam, pointing to malicious code on cfredret.ru/main.php. A Document was sent to you using a Xerox WKC1296130. cfredret.ru is hosted on 78.47.193.36, exactly the same IP address as this BBB themed malware spam. Blocking access to 78.47.198.32/29 is a fabulous idea if you can. Here with the Better Business Bureau would like to inform you that we have been sent a complaint (ID 82235322) from a customer of yours in regard to their dealership with you. Please open the COMPLAINT REPORT below to obtain the details on this case and let us know of your position as soon as possible. Here with the Better Business Bureau would like to notify you that we have been filed a complaint (ID 59988329) from a customer of yours related to their dealership with you. Please open the COMPLAINT REPORT below to view more information on this matter and let us know of your opinion as soon as possible. Payload is on blumtam.com/main.php?page=69dbd5a1e3ed6ae9 hosted on 78.47.198.36, a Hetzner AG address suballocated to an outfit called QHoster Ltd in Bulgaria. Blocking access to 78.47.198.32/29 would probably be prudent. More FDIC spam leading to malware, this time at splatstack.net. By this message we would like to inform you about the latest amendments in the Federal Deposit Insurance Corporation coverage rules. During the period from December 31, 2010 to December 31, 2012 all funds in a "noninterest-bearing transaction account" are provided with a full insurance coverage by the Federal Deposit Insurance Corporation. Please note, that this arrangement is temporary and separate from the Federal Deposit Insurance Corporation's basic insurance rules. The link goes via a couple of hacked sites to a malicious payload splatstack.net/main.php?page=abfd0d069b45c17e hosted on 173.255.253.115 (Linode). Blocking access to that IP address will probably be prudent. Yet another round of fake NACHA spam leading to malware is doing the rounds, this time the payload is on ragsnip.com/main.php?page=111d937ec38dd17e hosted on 207.210.96.226 (Global Net Access LLC, Atlanta). Blocking access to the IP is preferable to the domain as there may be other malicious domains on the same server. In order to resolve this matter, please review the transaction details using the link below as soon as possible. More NACHA spam is doing the rounds, this time redirecting through a legitimate hacked site to ragsnub.com/main.php?page=69dbd5a1e3ed6ae9 on 184.171.248.35 (Hostdime, Florida). There may be other bad domains on that server, so blocking access to the IP is the safest approach. More NACHA themed spam this morning that redirects victims through a hacked legitimate site to a malware laden page, this time hosted on evrymonthnighttry.com or glasseseverydaynow.com. These sites are hosted on 46.183.217.119 (Dataclub, Latvia). I can't see anything at all of value in 46.183.216.0/21 so blocking access to all of that range might be prudent. It also attempts to load an exploit from a site called bbb-complains.org which is not resolving at present. In order to resolve this matter, please use the link below to review the transaction details as soon as possible. Subject: LUCY Snow wants to be friends on Facebook. LUCY Snow wants to be friends with you on Facebook. This message was sent to victim@victimdomain.com. If you don't want to receive these emails from Facebook in the future or have your email address used for friend suggestions, please click: unsubscribe. In this case, the link goes via a hacked legitimate site and gets redirected to a malicious page on caredret.ru/main.php hosted on 79.137.237.67 (Digital Network JSC, Russia aka DINETHOSTING). Block access to 79.137.224.0/20 if you can, there is nothing legitimate hosted here. The spam tsunami continues today with a set of new malware URLs to block. This one allegedly comes from the FDIC in the US. Install a special security software. Please use the link below to read the instructions for the installation of the latest security version. We apologize for the inconveniences caused to you by this measure. The link goes through a legitimate hacked site and tries to direct the user to a malicious page at sownload.zapto.org/main.php?page=db3408bf080473cf hosted on 63.223.78.199 (InfraVPS Network Solutions, Philippines). Blocking the IP address is preferable because there may more other malicious domains on that server. csredret.ru is hosted on 79.137.237.67 at Digital Network JSC in Russia (aka DINETHOSTING). Blocking access to 79.137.224.0/20 is essential if you can do it. More NACHA spam this morning, this time the payload is at financeportal.sytes.net/main.php?page=111d937ec38dd17e on 174.140.165.90. Blocking the IP address rather than the domain is probably best as there may be other malicious sites on that server. You might want to consider blocking Directspace LLC more widely if you are worried. This spam is obviously trying to do something evil, but I'm not quite sure what. Confidential E-Mail: This e-Mail is proposed only for the username to that it is addressed and may be composed data that is intimate or otherwise preserved from exposal.If you have take this email in confusion, please notify the support by respond the present e-Mail and erase the original e-Mail and each copy.. The email is a piece of social engineering that relies on you wanting to know how much your colleagues are earning. Click the link and you get redirected to cms-wideopendns.com (a DSL subscriber in Span) then trackorder.commercialday-net.com (in China). It doesn't seem to work properly, but then it might just be resisting the tools I am throwing at it. In any case.. avoid this one. More NACHA spam, this time leading to a malicious payload on badthen.com. Stupidly (again) the NACHA email appears to come from linkedin.com. The ACH transaction (ID: 137297301664), recently initiated from your bank account (by you or any other person), was rejected by the Electronic Payments Association. The malware is on badthen.com/main.php?page=977334ca118fcb8c hosted on 173.230.130.158 (Linode, US). Blocking the IP address will block any other malware domains on the same server. The "pictures" link loads the malicious script, hosted at black hat hosts Digital Network JSC aka DINETHOSTING in Russia. Avoid. A Windows Vista licence? No.. it's malware from csredret.ru. The malicious payload is on csredret.ru/main.php hosted on 79.137.237.67 (Digital Network JSC, Russia aka DINETHOSTING). For about the billionth time in the past few days.. block access to 79.137.224.0/20 on your network if you possibly can. More fake NACHA spam, this time leading to a malicious payload site on downloaddatafast.serveftp.com/main.php?page=977334ca118fcb8c on 173.230.137.34 (Linode, US). The ACH transfer (ID: 82065701523728), recently initiated from your checking account (by you or any other person), was rejected by the Electronic Payments Association. serveftp.com is related to no-ip.com, if you block that domain then you should probably block serveftp.com as well. Blocking 173.230.137.34 would protect against any other malicious sites on the same server. 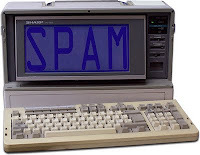 Update: another spam run is in progress using a domain sadjumped.com on the same server. The BBB spam is doing the rounds yet again, this time leading to a malicious payload at wonderfulyard.com/main.php?page=111d937ec38dd17e hosted on 81.17.140.161 (Velton.telecom, Ukraine). Blocking access to that IP address is probably a good idea, I can't vouch for the /24 that it is in though, but you may want to block that too to be on the safe side. Malware spam: "Have you seen how much money has Cameron spent on his new movie?" Have you seen how much money has Cameron spent on his new movie? What a graphics, check out the trailer! Apparently, it refers to James Cameron and not David Cameron. Payload site is hosted on 79.137.237.67 which is the now infamous Digital Network JSC in Russia (aka DINETHOSTING). Blocking 79.137.224.0/20 would be good for your health. I've seen a lot of 91.195.10.0/23 in recent days, a range of addresses belonging to UkrStar ISP in the Ukraine. It's a sparsely occupied block, but there appear to be no legitimate sites here and blocking the whole lot could save you some grief. Another bunch of "redret" sites to block, either by domain name or IP. These domains are being used as the payloads for spam emails and leave to a malicious web page. 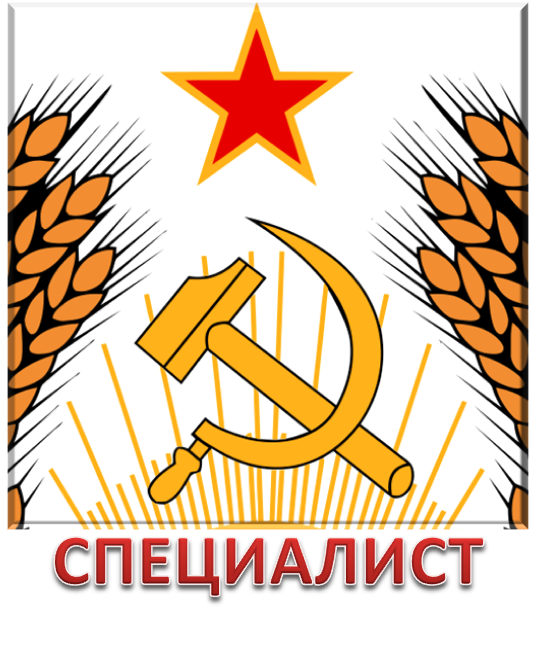 Specialist Ltd is a small Black Hat hosting company in Transnistria, a breakaway part of the former Soviet Republic of Moldavia. No UN members recognise Transnistria, and effectively it sits beyond the reach of international law enforcement. Quite a handy place for criminals to do business then. I first wrote about this block last year, but it recently came into my sights again as the host for a very widespread injection attack using the lilupophilupop.com domain. Since last year the number of malicious sites has dropped, but there is still not a legitimate site in sight. Most of the bad sites are currently on 194.28.114.102 but you should block access to 194.28.112.0/22 (194.28.112.0 - 194.28.115.255) if you can, because this range of IP addresses is nothing but trouble. A list of sites hosted in this range is at the end of this post, or you can download a CSV with the MyWOT ratings and IP addresses from here. Of the 44 site(s) we tested on this network over the past 90 days, 1 site(s), including, for example, rthur87seeks.rr.nu/, served content that resulted in malicious software being downloaded and installed without user consent. The last time Google tested a site on this network was on 2011-12-12, and the last time suspicious content was found was on 2011-12-12. Over the past 90 days, we found 15 site(s) on this network, including, for example, lilupophilupop.com/, sweepstakesandcontestsinfo.com/, sweepstakesandcontestsnow.com/, that appeared to function as intermediaries for the infection of 190 other site(s) including, for example, teas.com.au/, rogersplus.ca/, cicomra.org.ar/. Yes, this network has hosted sites that have distributed malicious software in the past 90 days. 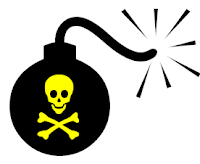 We found 30 site(s), including, for example, lilupophilupop.com/, sweepstakesandcontestsinfo.com/, sweepstakesandcontestsnow.com/, that infected 2524 other site(s), including, for example, jri.ir/, psu.ac.th/, longoservice.it/. This is the second BBB malware spam run of the day, with a new domain and IP address. The Better Business Bureau has been sent the above mentioned complaint from one of your clients on the subject of their business relations with you. The detailed information about the consumer's concern is contained in attached file. Please examine this question and let us know about your opinion. We encourage you to click here to reply this complaint. The malicious payload is eryirs.com/main.php?page=69dbd5a1e3ed6ae9 which is hosted on 67.211.195.169 (Arima Networks, Canada). Blocking access to 67.211.195.169 is probably a good idea in case there are other malicious sites on the server. The Better Business Bureau has got the above-referenced complaint from one of your customers on the subject of their business relations with you. The details of the consumer's concern are presented in enclosed document. Please give attention to this issue and advise us of your point of view. We look forward to your urgent attention to this matter. This link goes via a couple of legitimate hacked sites to a payload site at lazysit.net/main.php?page=abfd0d069b45c17e on 174.140.163.118. The IP address looks like it might be a legitimate but hacked server, blocking the IP address rather than the domain should block any other malicious sites on the same server. The spammers have been busy today, here's another one leading to malware. From: "The Electronic Payments Association"
The ACH transaction (ID: 870526083755), recently initiated from your checking account (by you or any other person), was canceled by the Electronic Payments Association. The malicious payload is on wonderfulwrench.com/main.php?page=977334ca118fcb8c on 46.45.137.205 (Safya Net, Turkey). We saw the same IP range yesterday, so I recommend blocking access to 46.45.137.0/24 at the least, or 46.45.136.0/21 if you want to be a bit more aggressive in your filtering. "The variant of the contract you've offered has been delcined." This leads to a malicious payload on ciredret.ru/main.php, hosted on 91.195.11.42 (as with this other spam/virus run), so blocking 91.195.10.0/23 (UkrStar ISP, Ukraine) is a very good idea at the moment. This malware spam leads via a legitimate hacked site to floreli.info or ageoloft.info or certerpen.info, although there are probably more. If you have the names of other payload domains please consider add ingthem in the Comments. Both these sites are hosted on 91.195.11.42. Subject: Your Amazon.com order of "Omron FXB-414M Fat Loss ..." has shipped! Track your package Thank you for shopping with us. We thought you'd like to know that we shipped this portion of your order separately to give you quicker service. You won't be charged any extra shipping fees, and the remainder of your order will follow as soon as those items become available. If you need to return an item from this shipment or manage other orders, please visit Your Orders on Amazon.com. The payload is on floreli.info/main.php?page=525447c096f8efbf or ageoloft.info/main.php?page=525447c096f8efbf and consists of the blackhole exploit kit leading to the Cridex Trojan. Blocking the range 91.195.10.0/23 (UkrStar ISP, Ukraine) a good proactive move as several malware attacks have been hosted there in the past few days. Your Amazon.com order of "Omron BTS-829C Fat Loss ..." has shipped! Your Amazon.com order of "Omron DRM-151A Fat Loss ..." has shipped! Your Amazon.com order of "Omron FXB-414M Fat Loss ..." has shipped! Your Amazon.com order of "Omron KGZ-387E Fat Loss ..." has shipped! Your Amazon.com order of "Omron PNB-885D Fat Loss ..." has shipped! Your Amazon.com order of "Omron PNH-875H Fat Loss ..." has shipped! Your Amazon.com order of "Omron REM-787E Fat Loss ..." has shipped! Your Amazon.com order of "Omron QYM-632R Fat Loss ..." has shipped! Your Amazon.com order of "Omron UHA-584I Fat Loss ..." has shipped! The BBB spam run is back today, with a malicious payload on combiplease.com (174.140.165.194), pretty much the same pattern as yesterday and earlier in the week. 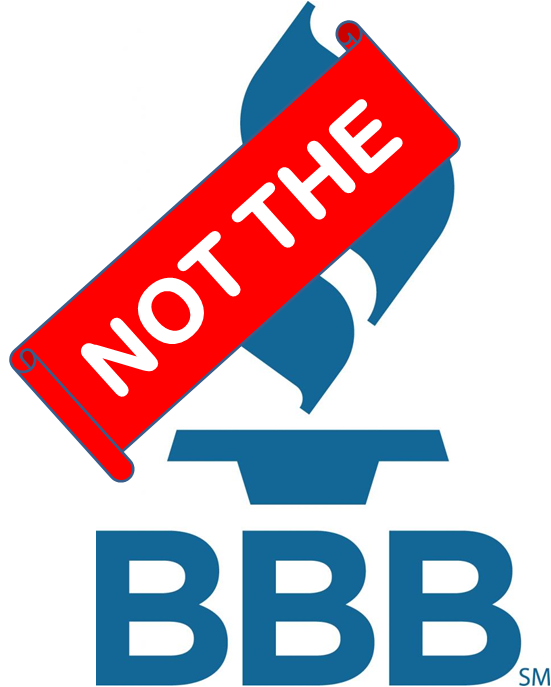 The Better Business Bureau has got the above-referenced complaint from one of your associates in respect of their business relations with you. The detailed information about the consumer's concern is contained in enclosed file. Please give attention to this question and inform us about your standpoint. Please click here to reply this complaint. Blocking 174.140.165.194 may be a good idea as other malicious domains may crop up on the same IP address. Spam season continues with this fake "contract" email with a link that leads to a malicious payload on coredret.ru/main.php. As we arranged the day before yesterday in the in your place we've got the contract ready, plase study it carefully and let us know whether you accept all the issues. coredret.ru is hosted on 91.195.11.41 (UkrStar ISP, Ukraine). 91.195.10.0/23 is very sparsely populated, so blocking access to it should cause no problems. A new version of yesterday's spam, this current crop of "BBB Complaint" emails lead to a malicious payload on combijump.com on 46.45.137.206. combimyself.com and combigave.com is on the same server and can also be assumed to be malicious. VirusTotal detection on the target page is poor. 46.45.137.206 is on a Turkish network called Safya Net, I cannot vouch for its reputation however and it might be worth blocking the /24. Another installment in the tsunami of malware-laden spam doing the rounds.. this time it is for pizza! If you haven’t made the order and it’s a fraud case, please follow the link and cancel the order. If you don’t do that shortly, the order will be confirmed and delivered to you. The link goes through a legitimate hacked site to a malicious payload on ciredret.ru/main.php, hosted on 79.137.237.63. Unsuprisingly this is Digital Network JSC in Moscow (aka DINETHOSTING) who are involved in much of the recent malware spam runs. Blocking 79.137.224.0/20 is highly recommended. Update 23/12/11: Another pizza malware run, this time leading to cgredret.ru hosted on 79.137.237.68 , no surprise to find that it is Digital Network JSC again.. If you havenâ€™t made the order and itâ€™s a fraud case, please follow the link and cancel the order. If you donâ€™t do that shortly, the order will be confirmed and delivered to you. Another day, another spam campaign leading to the Blackhole Exploit Kit. The Better Business Bureau has been sent the above mentioned complaint from one of your customers on the subject of their dealings with you. The detailed information about the consumer's concern is explained in enclosed document. Please review this matter and notify us of your position. A link in the email goes to a legitimate but hacked site, users are forwarded to billycharge.com on 79.137.237.63. This IP is on Digital Networks CJSC in Russia (aka DINETHOSTING), a wholly black hat operation - you should block access to 79.137.224.0/20 if you haven't already done so. The Wepawet report is here , VT shows 0/43 detections for the exploit page although the download malware should tickle at least some scanners. Perhaps the spammers have a sense of irony, because if you click the link you get directed to a legitimate but hacked site and then bounced to curedret.ru on 79.137.237.63 which attempts to load the Blackhole Exploit kit. This belongs to Digital Networks CJSC (aka DINETHOSTING) in Russia.. blocking the entire 79.137.224.0/20 range is probably a very good idea as this block is full of malicious sites. The Wepawet report for this page is here. I don't know what has been going on with spam for the past couple of weeks, but there has been a tidal wave of the same old spam hammering away at filters over and over again. Today, about half are directing traffic to a Blackhole exploit kit on czredret.ru (see an analysis here). The spam today is about airline tickets, but it could be on anything.. including the infamous NACHA spam that we keep seeing. Of the 536 site(s) we tested on this network over the past 90 days, 14 site(s), including, for example, myegy.com/, ql3a-soft.com/, irkasoft.ru/, served content that resulted in malicious software being downloaded and installed without user consent. The last time Google tested a site on this network was on 2011-12-05, and the last time suspicious content was found was on 2011-12-05. Over the past 90 days, we found 9 site(s) on this network, including, for example, playingfieldforallstore.com/, immerconsult.com/, seafarers333.co.cc/, that appeared to function as intermediaries for the infection of 15 other site(s) including, for example, alexsandra.ucoz.net/, seafarers.ucoz.ru/, fpbqax.in/. Yes, this network has hosted sites that have distributed malicious software in the past 90 days. We found 11 site(s), including, for example, myshop-ideal.com/, retailer-ideal.com/, abrorl.dlinkddns.com/, that infected 74 other site(s), including, for example, carrollmanorathletic.com/, nihadragab.com/, fathyradwan.com/. SiteVet's report shows that while it isn't a brilliant block, it certain has problems. If you don't do business in the Ukraine then it could well be worth blocking 188.190.96.0/19 just to be on the safe side.